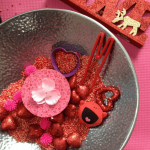 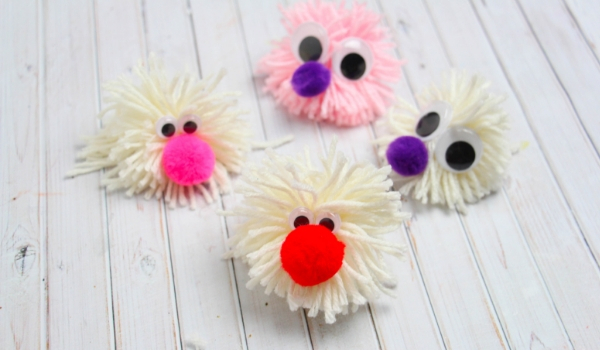 Next, to transform your pom pom into a love bug, add on some facial features: googly eyes, pom pom noses, foam mouths, pipe cleaner noses or mouths, etc etc. 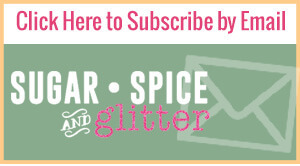 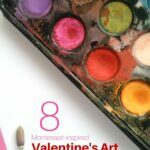 Have fun and be creative with this step - it's a great way to use up loose ends in your craft bin/drawer. 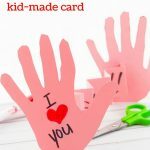 We just used white craft glue and let them dry over a couple of hours, but you can use hot glue if you need them to dry faster. 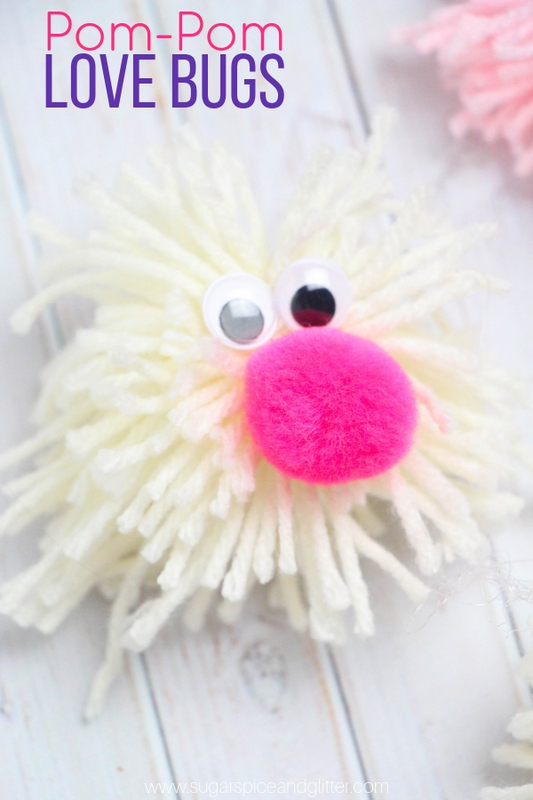 This super simple yarn craft for kids always leads to laughs and some cute creations. 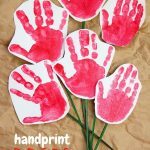 The crafts in these pictures were created by Ella and her friends at 5 years old. 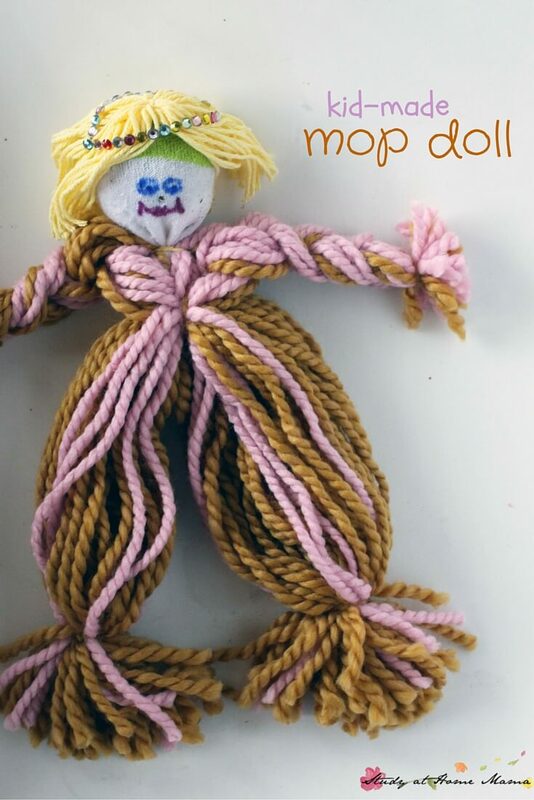 A couple of them were able to help make their pom poms, while others stuck to decorating pom poms after I did the tricky looping part for them. 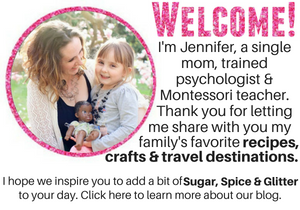 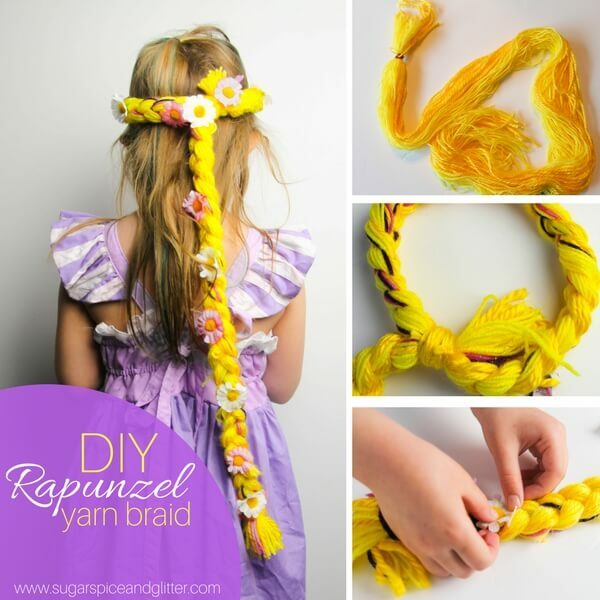 For more fun ways to craft with yarn, check out our Rapunzel Braid Headband or our Kid-Made Mop Doll.